Cooking type B, excellent taste, no discoloration after cooking, suitable for prepacking, very low sensitivity to mechanical damage and internal defects, starch content 12 – 13 %. High number of tubers with uniform size, high marketable yield. Oval, yellow skin, smooth shallow eyes, yellow flesh. White flowers, rapid development and foliage cover. 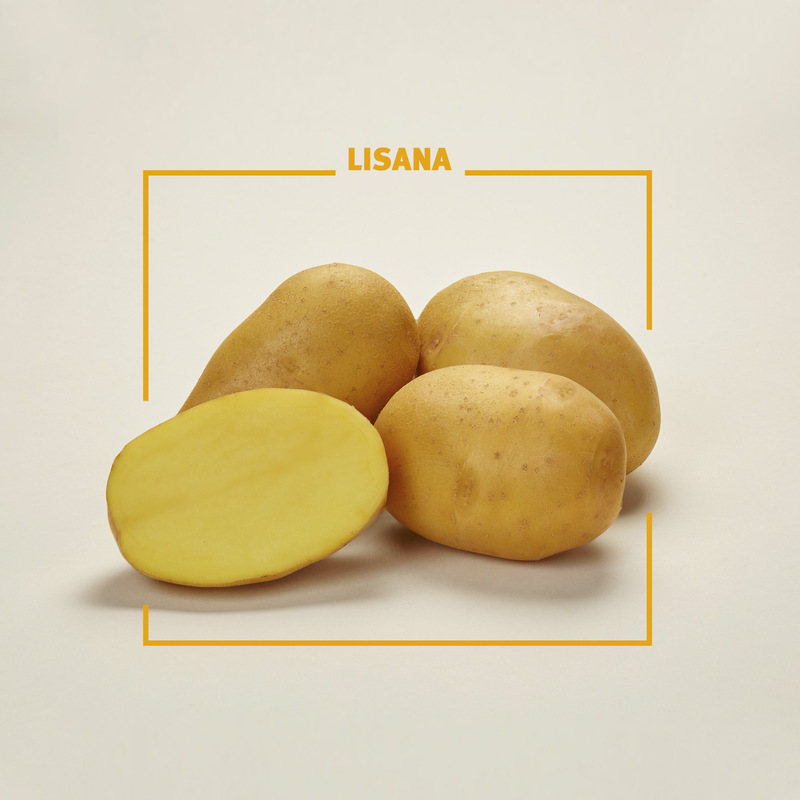 Due to good resistance against common scab suitable also for sandy soils, Lisana should be planted with 30 – 32 cm distance (in 75 cm rows) in a well-prepared seedbed, protective chemical control against Rhizoctonia solani. N-fertilisation up to 150 kg N / ha Phosphorus: 100 kg Potassium: 250 – 300 kg / ha (preferably sulphate) Sufficient magnesium 80 kg / ha In dry years foliage application with micronutrients. Avoid application of Metribuzin preand post-emergence! Routine chemical control of late blight together with active ingredients against early blight is recommended. 2 – 3 weeks after haulm killing skin set is finished and Lisana should be harvested in time. Good dormancy and storability.